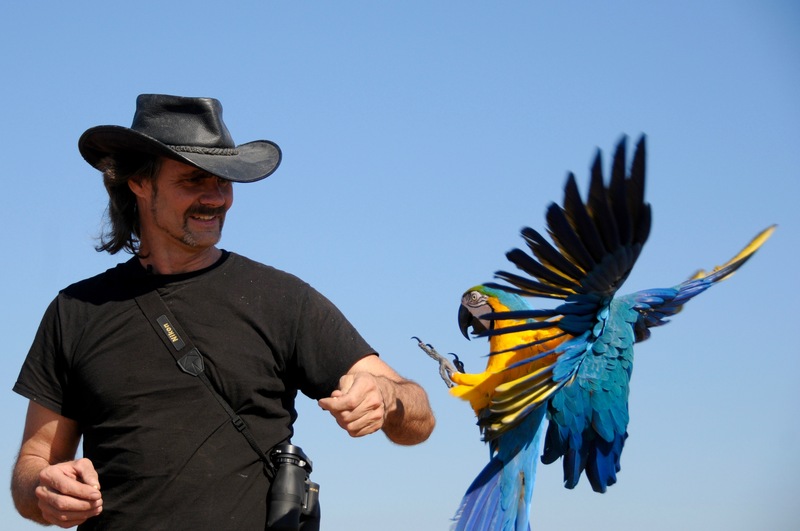 Since 1993, Chris Biro has been flight training parrots as part of The Pirate's Parrot Show, an educationally based pirate-themed parrot show that has performed at state and county fairs across the US since 1989. He flies parrots in a variety of environments ranging from busy state fairgrounds to high mountain desert canyons and cliffs. He is the founder and owner of the freeflight email list, started in 1990, that currently has over 1800 members across the world. Chris has presented about freeflight at national conferences such as American Federation of Aviculture (AFA) Conference, International Association of Avian Trainers and Educators (IAATE) Conference (bird trainers), National Parrot Resucue & Preservation Foundation (NPRPF) and Parrots International Symposium (parrot conservation) as well as presented 2 day flight training seminars in France, Portugal and Holland. Chris Biro has flight trained over 50 parrots and is always expanding his flight training skills. 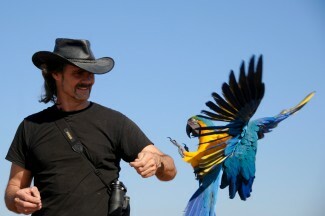 He enjoys raising baby birds for flight training, photography, video editing and coaching others about training parrots. Chris is the founder and Executive Director of Bird Recovery International, a 501c3 non profit organization dedicated to rescuing individual parrots and rescuing species of parrots from extinction by improving reintroduction processes.